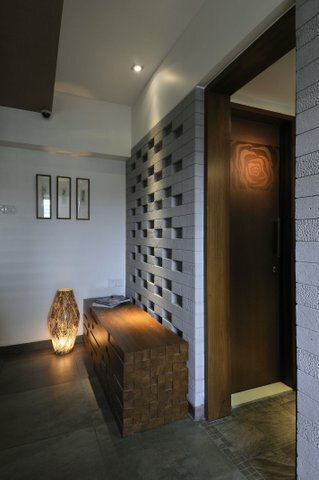 India’s rich design heritage is undisputable. From the grand palaces of Rajasthan, dominating temples of Tamil Nadu to the Art Deco district of Mumbai, ancient design much like the country’s food, spirituality and culture continue to attract visitors from all over the globe. Though one community, whose contributions repeatedly gets sidelined in the mainstream narrative of the country’s design heritage is the synagogues constructed by India’s jews. Over 35 of these architectural marvels exist through the country; some modest, some grand while others now lie in a dilapidated state. Conceived in various western styles; Neo-Baroque, Neo-Gothic and along with Renaissance features they continue to lure design enthusiasts with their fine building material and elaborate detailing. At Design Pataki we decided to honour this architectural legacy of the Indian jews by sharing with you three of our favourite synagogues from India. To us, these are hidden design gems and we hope someday you do experience them in-person. Constructed in 1858 this synagogue was built under the patronage of David Sassoon, patriarch of a renowned Baghdadi Jewish dynasty in India. 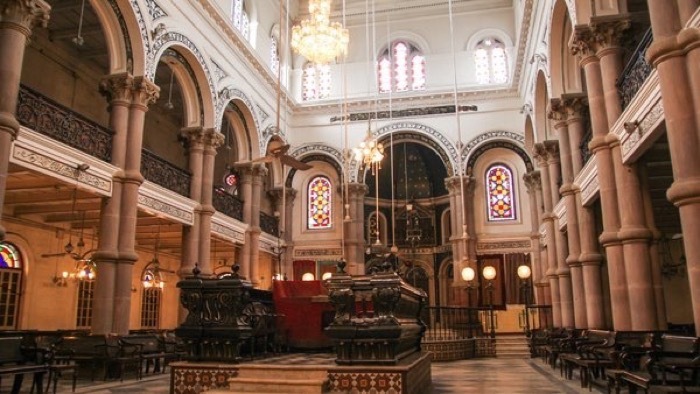 Tucked away in a discreet lane of Byculla it was the first Baghdadi synagogue to be realised in Mumbai and one of the biggest synagogues in Asia outside of Israel. The exterior facade of the synagogue is fronted by a high wall and gate along the busy divided road and congested sidewalk. Inside the compound, the synagogue is set back to allow for a generous open and peaceful space with mature trees. Magen David’s exterior is an impressive eclectic design that contains neo-classical features blended with more freely-conceived elements. Some of these include the four stylized columns supporting the flat-roofed porch with its amply proportioned, classical-inspired entablature and a central stepped square tower positioned over the porch. Set within one of the middle tiers of the tower is a clock manufactured in England. The symmetrical façade is lined with tall doors and transoms capped by unusual cross-hatched panels as well as windows with rounded transoms encased in heavy trim. Other design features of the synagogue’s facade consist of a classically-inspired entablature with a projecting bracketed cornice around the building’s main massing that is topped by a panelled balustrade. The thick exterior walls of the building are finished in plaster of polished lime, over a structural brick. The interiors consist of tasteful high-end detailing and materials, including the marble tiled floor, central tebah (elevated reader’s platform from where the Torah is recited) fabricated mostly of brass with lights projecting from its four corners and its intricately-carved teak reading table. Classical style pilasters and moulding can also be found inside. The finished ceiling is made up of painted white strips of wood decorated with small medallions. Throughout the room, Hebrew “Tree of Life” framings and other Jewish art are displayed. 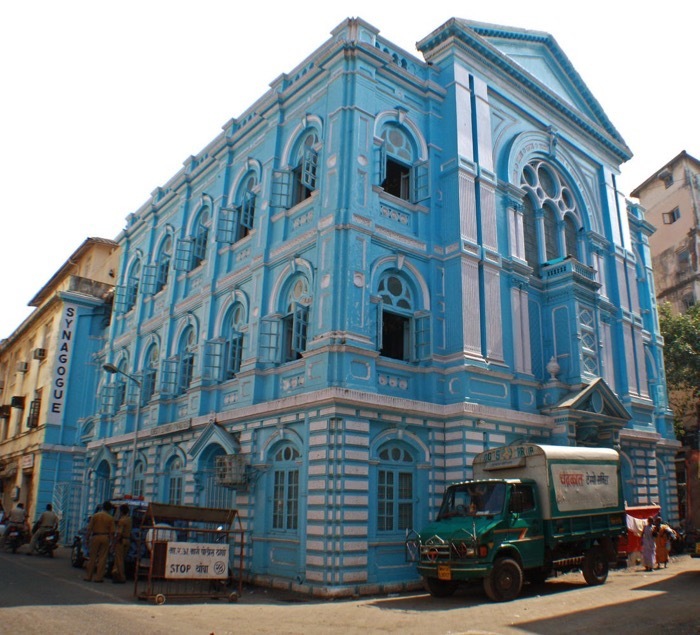 Over the years, the synagogue has been painted various colour schemes. 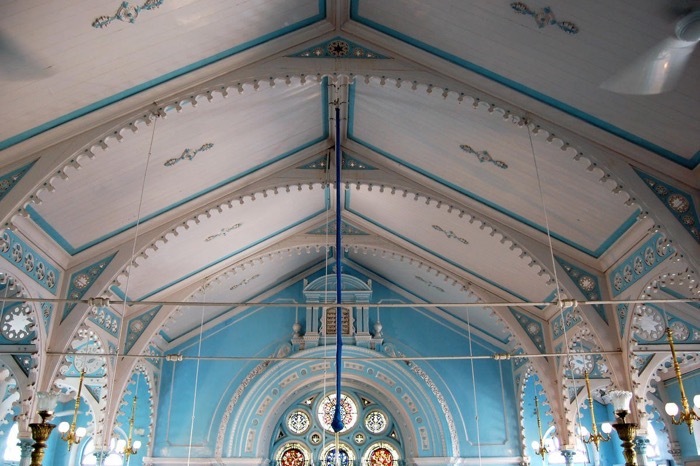 The vivid blue seen today was selected a few years by the synagogue’s managing committee and adds a charming serenity to the structure. Façade combining Jewish traditions with Indian and English colonial influences. Ceiling and cast iron structure. 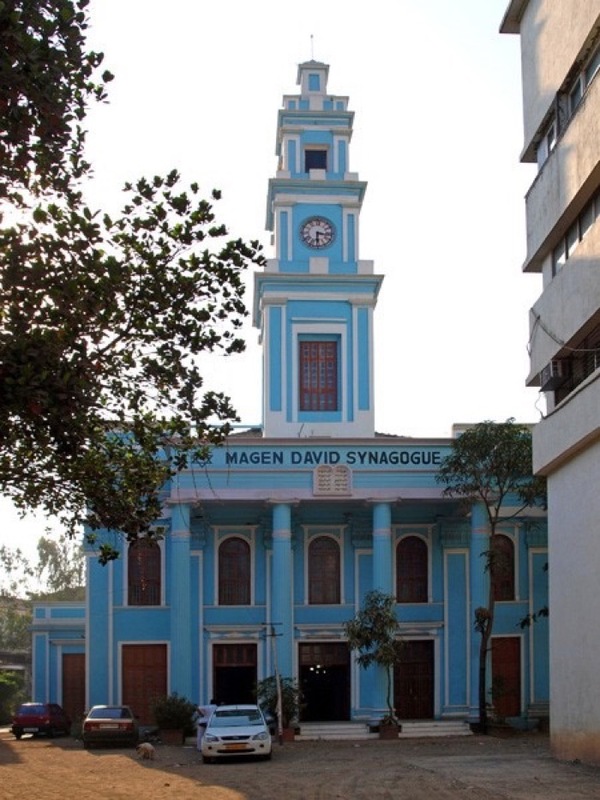 Situated in Kala Ghoda, this synagogue complements the already rich heritage neighbourhood. Built in 1884, the synagogue is the second to be built for Baghdadi Jews, who fled religious persecution in Iraq during the mid-19th century. Built in Victorian and Gothic style along with a few Neo-Classical features it has has been under restoration — supported by the World Monuments Funds— since 2017 with completion anticipated in 2019. The neo-Classical features are evident in the cast iron columns in the prayer hall, and a triangular roof on the outer façade, which finds resemblance in the Asiatic Library and Town Hall as well. It has a pronounced semi-rusticated base with quoins, a middle section composed of a grouping of stained glass windows and repetitive bays of fenestration divided by engaged pilasters, and a ceiling with a high pediment and balustrade. The stained glass motifs which are being painstakingly refurbished by local conservators feature painted oranges, pomegranates, and roses. All the painted items are allowed as offering inside the prayer hall. Another striking feature of this synagogue is its dominating chandeliers inside the main hall whose cast iron has fought rust for over two centuries. When they shine upon the all teak furniture it adds a dazzling royal effect to the holy structure. 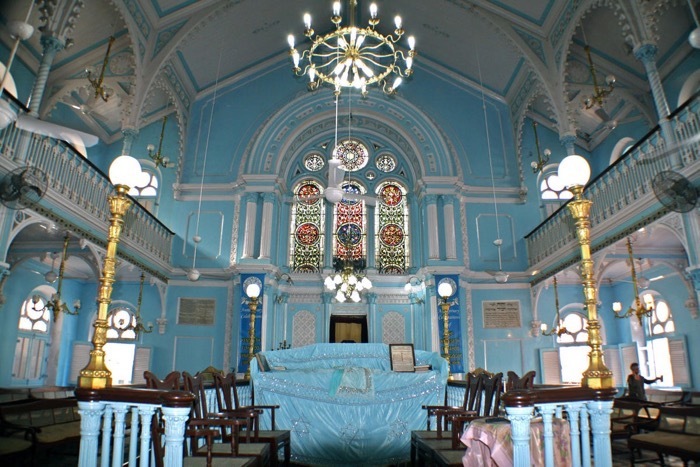 The Keneseth Eliyahoo Synagogue continues to be used as the centre of Jewish cultural and religious life in Mumbai. For us, walking into Knesset Eliyahoo is like living in a design fanatic’s Instagram feed, and we surely didn’t feel like stepping out of it! Built-in 1884 when the Baghdadi Jewish community was thriving in India, has been considered a prominent architectural landmark in Kolkata for the last century-and-a-quarter. The imposing flat-roofed synagogue set behind a wall and gate along the busy Canning street is stylistically a Renaissance-revival structure. Finished in rust-coloured brick with buff stone accents, the synagogue’s most commanding feature is its corner tower that soars to a height of 140 feet. The tower displays an English-manufactured clock with faces on four sides that originally chimed every quarter hour, and it is capped by a steeply-pitched slate-tiled roof crowned by a finial. Along the sides of the synagogues are repetitive bays of rounded-arched windows, decorated panels, and bands of trim that faithfully follow the Italian Renaissance-revival aesthetic. The interiors provide an impressively large space able to accommodate a membership that, at its height, numbered over one hundred families. In the plan, the generous triple-height central nave with its tebah (raise reader’s platform from where the Torah is recited and the prayer service is led) is separated from the two double-height side aisles by bundled limestone columns with carved floriated capitals. Sources indicate that these columns were quarried and fabricated in France and sent to Kolkata for installation. Clerestories with stained glass, grey and white marble floor tiles set in a checkered pattern, and the raised tebah with brass balusters are prominent design features. Filling the sanctuary, in Baghdadi and other Indian synagogue fashion, are several freestanding long wooden benches and chairs as well as various-styled hung lighting fixtures (some originally gas-lit and featuring Belgian glass) and ceiling fans. Panels throughout the prayer hall that run along the curved arches, in between the columns, and on wall surfaces are highly decorated with floral patterns and Hebrew inscriptions. 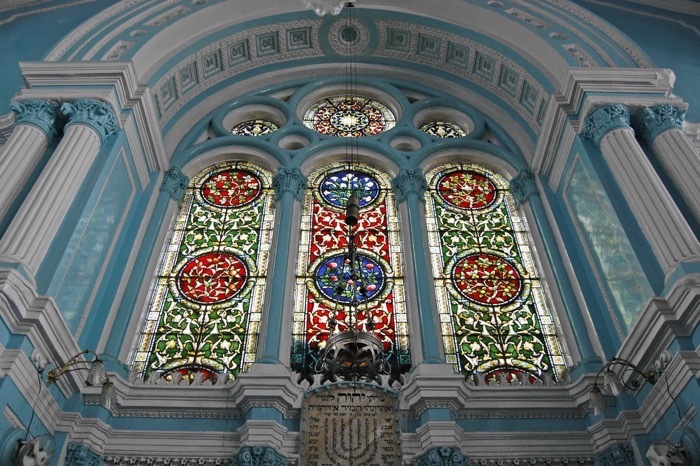 A space of visual decadence, this grand synagogue, although still fitted and maintained, is no longer a fully-functioning house of prayer due to the diminished local Jewish population. The building is now managed by the Archeological Survey of India.